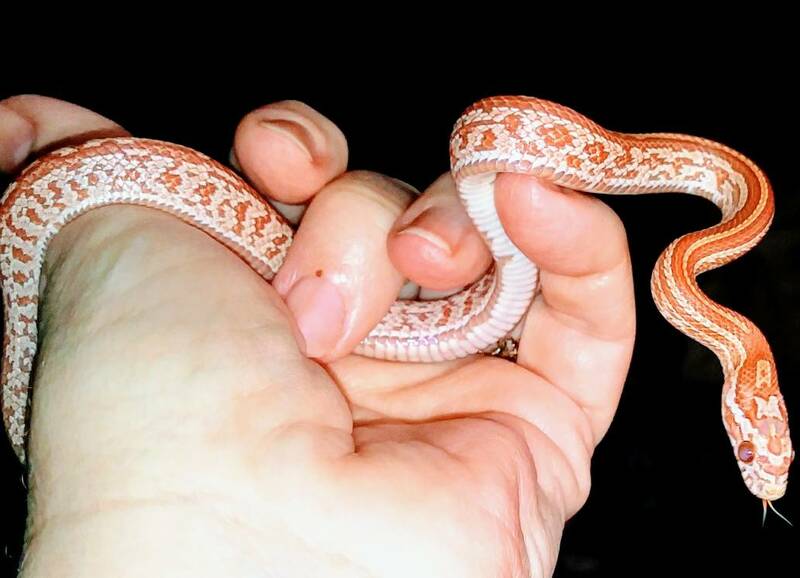 So I finally got my new baby corn snake this last Thursday. She came all the way from New England ( Massachusetts area) to Texas so that was quite a trip via FedEx airplanes. Needless to say she's scared to death which is to be expected. I did offer her a Frozen thawed pinky this morning I knew it was too soon and as expected she didn't eat. 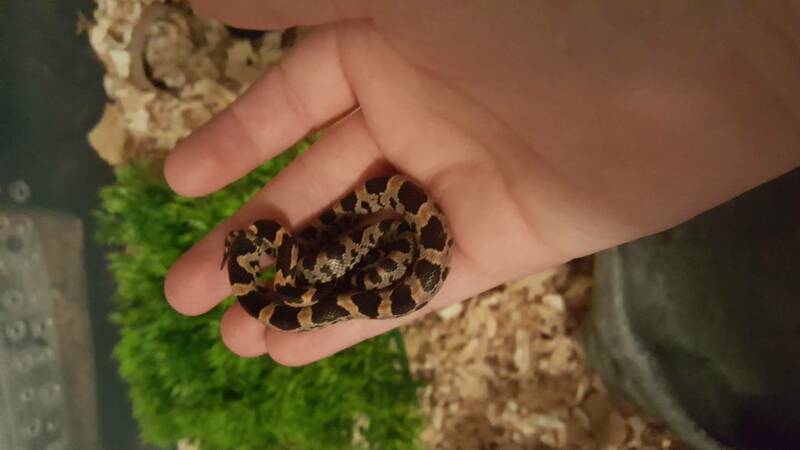 Breeder said she was a 2018 but I'm guessing it was December of 2018 because she still small her weight looks good but she's small. I'm going to wait a few more days and then offer her food. She's always hiding so I think when I see her start to come out of hiding she might will be hungry enough to eat. great (is this your first?) & I hope you have many happy years with her. first I have to go back and try to figure out how to load pictures on this site again. She is an Ultra/ hypo strawberry tessera. Last edited by Jellybeans; 03-16-2019 at 06:47 PM. Yep I just typed in her kind on the internet and it pops up her photo from the Mount Pleasant herps site. Last edited by Jellybeans; 03-16-2019 at 06:56 PM. 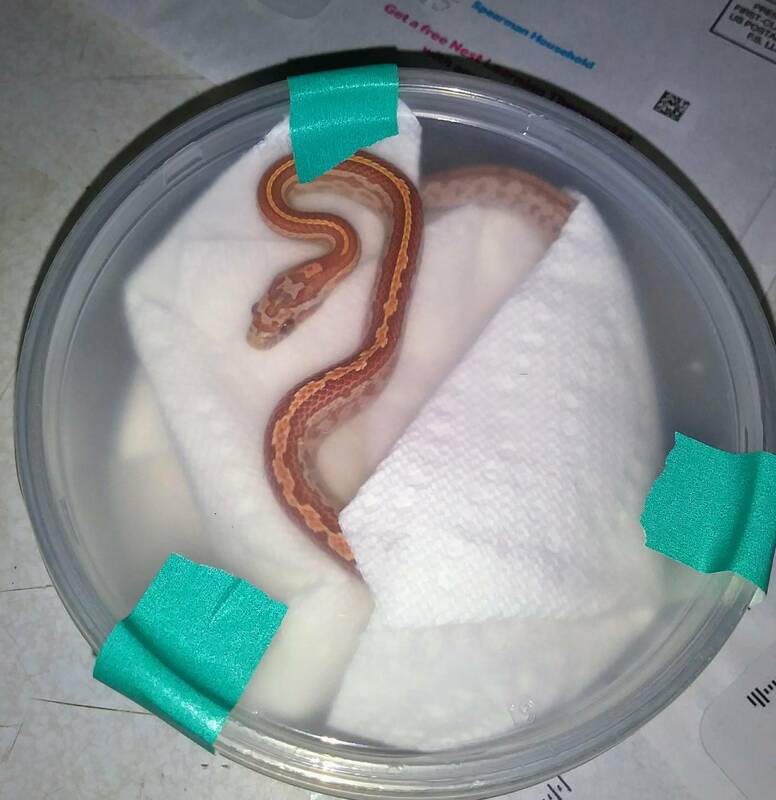 Baby corns are absolutely tiny as hatchlings, so she may be a bit older than you think. They grow pretty slow at first since their meals are 1-2 grams and only a fraction of that stays as growth each meal. Corns seem to be pretty scaredy and flighty when they're little, so just five it some time. They're especially nervous when they're in a whole new place. Our corns were both about 1 month old when we got them at 6 grams and 5 grams respectively. For size reference, this is the 6 gram one after a few weeks (maybe 7 or 8g) in my small hands. Tapatalk why??? why must you flip my pictures?? Lol. Last edited by pretends2bnormal; 03-16-2019 at 07:05 PM. Last edited by Bogertophis; 03-16-2019 at 07:13 PM. Last edited by Jellybeans; 03-16-2019 at 07:34 PM. Very pretty! You'll enjoy having a corn, I'm sure. She definitely looks big enough to be a summer 2018 baby. 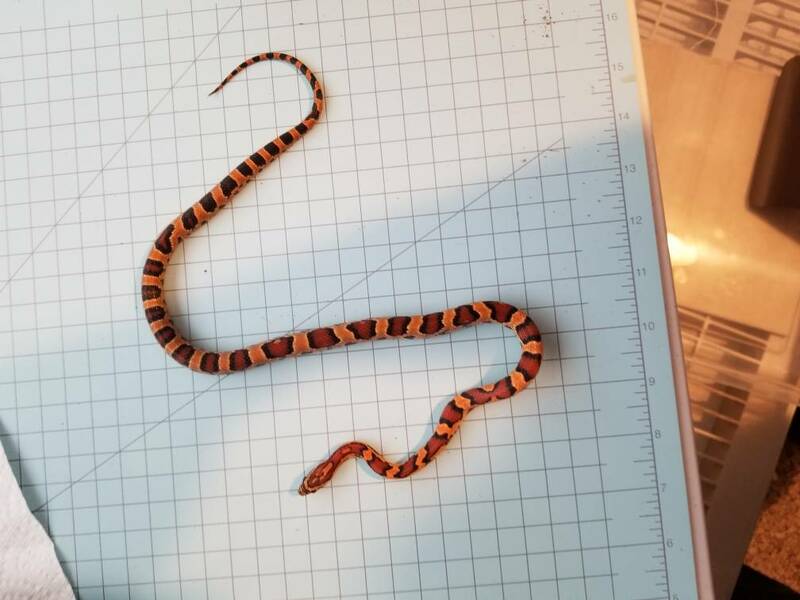 My July 2017 corn was about 45 grams in March last year; picture of him on a cutting mat that has inch markings for scale. arc of her eyes...impending shed will show up easily that way as "milky"). Her eyes are kinda light now but breeder says they will darken to black with brownish rims. She is kinda long but a little less than the cutting board snake LOL!, which is gorgeous by the way.